For ten days in June, London will resound with Jewish choral singing when choirs and choristers from all over come together for the first international Choirs Festival in London, set up in memory of our dear colleague Barry Weinberg. For more information call Stacey Bosworth 212-889-6800 ext. 271 Space is limited! Call now! A workshop especially for singers and accompanists of Yiddish song, dedicated to genres, styles and fine points of pronunciation and dialects. The main topics will be: Yiddish Theatre Song, Yiddish Folk & Traditional Song, Contemporary Yiddish Song Styles, Yiddish Pronunciation and Dialects, and Developing a Personal Style. Tickets for YIDDISH IN AMERICA are $250, $100, $50 and $36. They are currently available at the Town Hall Box Office, Ticketmaster, or at The Workmen�s Circle/Arbeter-Ring New York office 212-889-6800 x 301. Zalmen Mlotek, Executive Director of The Folksbiene Yiddish Theater and Musical Director of The New Yiddish Chorale, will be presenting "Jewish Musical Drama in the New Country," a concert of rarely-heard Yiddish music, on Tuesday, November 11th at the Jewish Theological Seminary. The concert will feature an 1882 Yiddish operetta as well as the NYC premiere of a Yiddish cantata. Tickets for the performance, which begins at 7 p.m., are $18 at the door. All performances, which are to be held in the Feinberg Auditorium, will have simultaneous English translations on screen for the enjoyment of those who do not speak Yiddish. Remaining tickets at $18 can be purchased at the door only. To reserve tickets, phone (212) 213-2120. Further information is available at http://www.milkenarchive.org/events. The Jewish Theological Seminary is located at 3080 Broadway at 122nd Street. Come celebrate with us the release of Hebrew Love Songs, a collection of songs from and inspired by Shir Hashirim, the biblical Song of Songs. The album, as well as the evening program, feature the musicians of the band ADAMA: Achi Ben Shalom, Markos Sowlakis, Daniel Hoffman, Michael Gill, Jan Padover, Jeremy Cohen and many more talented musicians. The choral group East Bay Jewish Folk Chorus will join us for part of the evening. Ashkenaz is located on San Pablo (at Gillman), Berkeley. For most of its 33 years of existence the St. Louis Circle of Jewish Music has sponsored an annual Chanukah choral festival. This year we begin a new tradition in collaboration with the suburban University City Symphony Orchestra - a "Judas Maccabeus" sing-along. Taking place (this year) at United Hebrew Congregation on December 20th, the combined choirs of most of the city's Jewish congregations will collaborate with the Orchestra, directed by Dr. Leon Burke, III, with solos sung by members of the Circle. Audience members may purchase a score for $18 which serves as a ticket for this and all future years, and then may sing along with the on-bima choir. In researching the program notes I've become further surprised at the story of Handel's writing such a Jewish oratorio. "Messiah" notwithstanding, the vast majority of Handel's oratorios are on subjects from Tanach - "Old Testament" to him - "Deborah," "Israel in Egypt," "Joseph and His Brethren," etc. And "Judas Maccabeus" goes even one step further by NOT being of O.T. provenance, and hence lacking even that relevance for Christians. Apparently there was a political metaphor - a recently suppressed revolution. But I prefer the apocryphal story that Handel was advised to compose for royalty and the aristocracy, but wanted to see seats filled in the theater, and so wrote for the Jews. The 19th Annual Yiddish Folk Arts Program "KlezKamp" will be held from December 23-29, 2003 at the Swan Lake Hotel in the heart of New York's Catskill region. 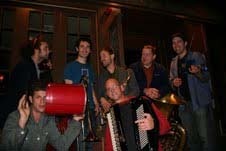 For information about the program, registration, and work/study options please go to our website www.klezkamp.org. from across the US, Montreal and London! THE COMBINED CHILDREN'S CHOIR FROM BETH EL NER TAMID SYNAGOGUE, CONGREGATION BETH ISRAEL, CONGRGATION EMANU-EL(MILWAUKEE), CONGREGATION SINAI, CONGREGATION SHALOM AND THE MILWAUKEE JEWISH DAY SCHOOL. the Moscow Male Jewish Choir, "Hasidic Cappella"
General admission seats are only $25 ($18 for seniors and students). Premier seating and entrance to the champagne reception with the artists are only $45. For more information and tickets, call the Canyon Club 818-879-5016.
and commemorating 10 years since Rauch's passing (1994). The bill also features THE PRIPETSHIK SINGERS performing a few numbers. Join hundreds of Jewish choral music lovers who will raise their voices in song in a unique program of choral music. 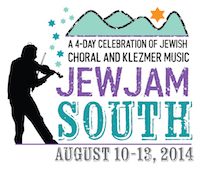 The Fifteenth Annual North American Jewish Choral festival will once again provide participants with the opportunity to hear and be a part of Jewish choral music at its best. Our renowned teaching staff will enlighten, inspire and entertain you as you explore a full range of Jewish musical skills, literature, and texts. We are thrilled to announce the dates for the 20th annual KlezKamp: December 26 � December 31, 2004 at the Swan Lake Resort Hotel in the Catskills. The "Kavehoyz" series is supported by the New York State Council on the Arts, a state agency. WEDNESDAY, MAY 25, 7:30 P.M.
For addt'l info or to reserve for a group: call 646-602-2007. Sunrise Sunset, A Whole New World, Popular, A Hard Knock Life —do you know the lyrics to these incredible songs written by Jewish composers? An outdoor concert for the whole family with song sheets provided to sing along with Broadway professionals. Dress up as your favorite character and join in the fun! For the third year in a row the St. Louis Circle of Jewish Music will collaborate in presenting excerpts from - but most of - George Frideric Handel's oratorio "Judas Maccabaeus" in observance of the approaching season of Chanukah. The concert will take place Saturday evening, December 10th, 7pm at Congregation B'nai Amoona, featuring the University City Symphony Orchestra conducted by Dr. Leon Burke, III. Members of the Circle will sing the solos, and a choir of volunteers from the various congregational choirs will be joined by those members of the audience who have purchased scores. Other music to be performed will include the "Suite Hebraique" by Ernest Bloch featuring viola soloist Anna Lackshewitz, and an arrangement by me for male choir (quartet in this case) of a traditional Dutch melody for "Shenei Zeitim," a piyut for Shabbat of Chanukah. Judas Maccabaeus on Friday, December 16th, 2005.
on premises. Chair lift available. All are invited. Boulevard, between Main Street and Sanford Avenue. Special Yiddish/English concerts May 21! commemorating 90 years since their deaths. All in Yiddish, with English translations. to commemorate 90 years since their respective deaths. that many had to be turned away. concert will feature tenor Richard Lenatsky and the Shira Hadasha Choir. The 2nd half will feature Divahn. Alex Kontorovich, Gennady Gutkin, and Michael Spielzinger. concert workshop at the synagogue from 4:00-5:30pm. A Besere Velt (A Better World), Yiddish Community Chorus of the Workmen痴 Circle, opens its membership once a year. We sing songs of freedom and struggle from progressive Jewish cultural tradition. Performances throughout the year. All voices welcome. No knowledge of Yiddish required. For more information contact Lisa Gallatin at 617.566.6164. Over 250 adults and children will celebrate Chanukah, the Festival of Lights, in concert, 3 P.M., Sunday, December 10, 2006 as Congregation Rodeph Sholom of Manhattan hosts its unique, multigenerational Festival of Choirs. The seventh annual concert will feature cantors and their volunteer adult and children’s choirs from all over the New York metropolitan area. This year, the first night of Chanukah is Friday, December 15, 2006. Congregation Rodeph Sholom is located at 7 West 83rd Street off of Central Park West in Manhattan. For more information about this concert, please call (212) 362-8800, ext. 1337. Ensemble Lucidarium "La ISTORIA de PURIM"
The Ensemble Lucidarium, a famous international group of scholar musicians specialized in the works of the Middle Ages and the Renaissance, will perform: "La Istoria de Purim," Jewish music and poetry from the Italian Renaissance, which was awarded first prize in 2004 by the European Association for Jewish Culture. In the fifteenth and sixteenth centuries, northern Italy was a meeting place for three separate Jewish communities: Ashkenazi, Jews coming from northeastern Europe, Sephardic Jews from the Iberian peninsula, and Italikim who had been in Italy since the days of the Roman Empire. The music from this period is characterized by a fertile exchange of ideas and culture between Jews and gentiles. The texts transcribed into the Hebrew alphabet in four-verse stanzas are written in the colorful Jewish vernacular spoken in the Po valley during the sixteenth century. The rhymes were typical of the songs performed to celebrate the festival of Purim by recounting the story of Queen Esther. Ensemble Lucidarium has reconstructed the music through painstaking research into sixteenth-century music and oral traditions still alive in certain areas of the Tuscan and Emilian Apennines. Location: Rembrandtkapel, Rembrandtlaan 10, Soest. For information or reservations: email Yiddish Choir Hejmisj Zain, or tel. 0031-35-6940618.
in the "Amstelkerk", Amstelveld 1, Amsterdam. Entree: € 9,00, € 8,00 and € 5,00(children till 12 years old). from our new Rosh Hashanah, Pesach and Chanukah repertoire. Sunday, June 3, 8:00 pm at Sanders Theatre: Classical meets cool, rousing meets reflective -- music celebrating the enduring spirit and dramatic stories of the Jewish people. Our annual Sanders extravaganza joins Zamir, under the direction of Artistic Director Joshua Jacobson, with Cantor Jeff Klepper and Rabbi Daniel Freelander, of Kol B'Seder. The world-renowned duo, founded in 1973, has influenced the modern American Jewish movement with their unique, contemporary sound, which some have dubbed "American nusach." The evening kicks off with Zamir performing majestic classics by 19th-century synagogue composer Louis Lewandowski, as well as expressive settings of biblical texts by Americans Leonard Bernstein, Daniel Pinkham, and Randall Thompson. The centerpiece is the brilliant a cappella "Roni Akarah," a rarely performed work by Israel's Paul Ben-Haim. Kol B'Seder will take the stage to present new pieces and old favorites, followed by a joint set with Zamir and an instrumental ensemble led by Hankus Netsky, including new settings of Kol B'Seder's best-loved songs such as "Shalom Rav" (abundant peace). Be sure to order your tickets in advance for this special evening! June 10th, Amsterdam, 15.00 hours. (children up till 12 years). will perform rarely-heard choral arrangements of the great songs of Mark Warshawsky and Mordecai Gebirtig including Afn pripetshik, Es brent, Di mizinke oysgegebn, Hulyet hulyet kinderlekh, Dem milners trern, Akhtsik er un zibetsik zi, and more! Also, the new compact disc recorded by the JPPC, ZINGT! - A CELEBRATION OF YIDDISH CHORAL MUSIC will be available! Coming this Sunday and Monday! 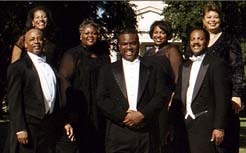 Order tickets on line at www.boxofficetickets.com/sydenhamchoir or call 800-494-8497. For further information call the Center office at 718-997-5730. The beautiful voices of women, singing Jewish psalms and prayers will be heard in a ground breaking concert on Sunday 1st July. Britain's first and newly ordained cantor, Jaclyn Chernett of Kol Nefesh Masorti Synagogue, Edgware is joined by Josée Wolff*, the first woman from the European continent to be ordained Cantor at the School of Sacred Music at Hebrew Union College, New York (where she now teaches). Two sopranos, Vivienne Bellos, Director of Music, North Western Reform Synagogue, Golders Green and Cathy Heller-Jones, Director of Music, Liberal Jewish Synagogue St John's Wood, who have been leading prayers in their synagogues through music for decades, feature in this concert, which also introduces Zoë Jacobs, a young British woman studying in America to become a cantor. The concert at 8.00pm on Sunday 1 July takes place in the beautiful sanctuary of the Liberal Jewish Synagogue, St John's Wood. There will be a pre-concert talk at 7.00pm on the subject of the role of women's voices in religious Judaism throughout history, given by another woman playing an important role in Jewish music, Dr Abigail Wood, who is now the Joe Loss Lecturer in Jewish Music, SOAS, University of London. on the Upper West Side of Manhattan. The 40-member chorale, which has recently performed at Shea Stadium, Lincoln Center, and the North American Jewish Choral Festival - as well as released its first CD, "Zingt! A Celebration of Yiddish Choral Music" (which has drawn raves), - is committed to the highest quality of performance. The auditions are by appointment only and can be scheduled by calling (646) 602-2007 or emailing . Candidates must have a good ear, be able to sing in harmony and have a voice that blends. *No* knowledge of Yiddish is necessary. Translations are always provided. Rehearsals are held weekly from September through early June on Monday evenings on the Upper West Side. The JPPC is conducted by Binyumen Schaechter. More info about the JPPC can be found at www.thejppc.org. The JPPC is a non-discriminatory organization and welcomes singers of all faiths; membership in the Chorale is open to qualified singers without regard to religion, race, national origin, sexual orientation, marital status, or disability. This concert made possible with public funds from the New York State Council on the Arts. For more information, or to reserve tickets, please call 718-338-3800. For more information, or to reserve tickets, please call 718-648-7703, ext 226. The Master Singers of Worcester is proud to present the first Worcester performance in decades of George Frederick Handel’s epic work about the Maccabean struggle, Judas Maccabaeus. During the composer’s lifetime, this dramatic oratorio was second in popularity only to Messiah. Recounting in music the liberation of Judea from the persecution of the Syrians, Handel’s vivid score is replete with splendid choruses, and brilliant writing for soloists and full orchestra. The chorus will be joined by the Master Singers Youth Chorus and the Shrewsbury Youth Singers, and by guest artists baritone Solomon Cross, mezzo-soprano D’Anna Fortunato, tenor Daniel Mutlu (Cantor at Temple Emanuel), and soprano Marina Shemesh (Cantor at Worcester’s Congregation Beth Israel). A pre-concert lecture “What is The Real Story of Chanukah?” will be presented by Temple Emanuel Rabbi Jordan Millstein. I'm sure that you'll be able to purchase them at the door as well. an Open Sing of Leonard Bernstein's Chichester Psalms and choruses from Handel's oratorio JUDAS MACCABAEUS. 1860 Washington Street, Newton, MA. Admission: $10; $8 for students and seniors. Vocal scores, included in the cost of admission, will be available at the door. Join us as a singer or just a listener. For further information, call 617-244-6333. Boston's Museum of Fine Arts, European/Old Master Paintings Gallery, Wednesday, December 5 at 7:30 pm. Join us for a Hanukkah concert in this resonant and inspiring setting. Over 200 adults and children will celebrate Chanukah, the Festival of Lights, in concert, 3 P.M., Sunday, December 9, 2007 as Congregation Rodeph Sholom of Manhattan hosts its unique, multigenerational Festival of Choirs. The eighth annual concert will feature cantors and their volunteer adult and children’s choirs from all over the New York metropolitan area. This year, the first night of Chanukah is Friday, December 4, 2007. This season's holiday concert will be more than a little unusual. Dedicated to the celebration of Hanukkah, it will combine music both old and new, taking us back to the 17th century, when the famous violinist and composer Salomone Rossi wrote the first polyphonic setting of the Shabbat Service. To complement the splendid ceremonial music of Rossi, Choral Arts has commissioned a Hanukkah Oratorio by internationally renowned composer David Ludwig. An ensemble of period instruments - recorders, baroque fiddles, sackbuts, lutes and percussion - will accompany this festive holiday concert. Bring the entire family! There will be a pre-concert lecture 30 minutes before each performance. Congregation Agudath Sholom in Stamford, Connecticut, Sunday, December 16 at 3:00 pm. Less than an hour from NYC! Join us for a special afternoon. For tickets, contact Naomi J. Marks, 203-358-2200. Annual Hanukkah Happens at Temple Emanuel, Newton, on Monday, December 24, 7:30 pm, featuring cantorial and choral music with Cantor Elias Rosemberg and orchestra (new orchestrations by Joshua Jacobson). Highlights include Machtenberg's "Shehecheyonu" and Schorr's "Sheyiboneh Beys HaMikdosh" as well as Sephardic melodies such as "Yom Zeh LeYisrael" and "Yismach Mosheh." For further information about Hanukkah Happens, contact Temple Emanuel 617-558-8150. Je travaille le chant lyrique à Paris, dans la tessiture de ténor lyrique, en tant que soliste, également je chante dans des ch ur ou ensembles vocaux. Depuis quasiment un an, je chante dans la chorale juive de France, dirigée par Hector SABO. Il y a 4 mois, je fus sollicité par le chef de ch ur pour être soliste, avec la volonté de développer l art cantorial. A paris, lundi 18 février à 20h00, à la synagogue de Nazareth (Paris 3ème), nous faisons un concert, accompagné par deux hazzanim. Nashirah, the Jewish Chorale of Philadelphia. The name of the concert is "Im Tir'zu: If You Will It". Further information, a contact telephone number and directions are available at our website: www.nashirah.org. MFA members, seniors, and students $8; general admission $9. the most popular teams in the internatiomal Jiddish Klezmer scene. use of song and instruments. liturgical music, to which they add their own compositions. San Francisco Choral Artists invite you to join us in celebrating the power of music to sustain hope in times of despair. We remember those who perished in the Holocaust as well as those who survived, and how music kept many alive. With songs from the period and new works to celebrate light in times of darkness. Magen Solomon, Artistic Director. 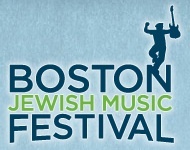 On Thursday, June 19, 2008 at 8 pm, Koleinu, The Jewish Community Chorus of Boston, will present a concert of Jewish choral music, featuring a variety of Sephardic music at Temple Shalom, 175 Temple Street, West Newton, MA. Included in the concert are pieces in Ladino (Judeo-Spanish) and Hebrew, many of which show the literary and musical influences of Spanish, Romani, and Arabic cultures. General admission tickets are $10 for advance purchase and $12 at the door. Donor seats in special section are $25. To purchase tickets or for more information visit www.koleinu.org or call 617-559-8649. DATE & TIME: Sunday, October 26, 2008 at 7:30 p.m.
Northeastern University will present the only Boston appearance by the renowned Jerusalem Academy Chamber Choir, under the direction of Prof. Stanley Sperber. The Academy Choir, now in its 40th season, is considered one of Israel's finest vocal ensembles, performing frequently with the Israel Philharmonic and the Jerusalem Symphony Orchestra. This will be the first concert on the choir's American tour. Also on the program will be the Northeastern University Chamber Chorus and the Zamir Chorale of Boston, conducted by Prof. Joshua Jacobson. The program includes Daniel Pinkham's Wedding Cantata, Yehezkel Braun's Song of Songs, and other works by American and Israeli composers. Musica Sacra presents Jewish choral repertoire that juxtaposes the sacred and secular, the ancient and contemporary, the traditional and innovative. The concert will feature Paths of Stone and Water, a world premiere written for Musica Sacra by Osnat Netzer, Israeli composer and pianist. The concert also includes Aaron Copland's In the Beginning, which sets the Genesis creation story, music by Noam Elkies, Yiddish choral music from the early 20th century, and other selections from the Jewish diaspora. It's finally available -- at a special low price for the holiday gift-giving season -- the downloadable (MP3) version of my CD, "Little Blackbird"! Including Handel in Yiddish! is it possible? Come hear for yourselves! If you'll be in the New York City area on December 24, you might enjoy having something Jewish-musical to do while "other" music is filling the concert halls and air waves. Matthew Lazar will conduct the Zamir Chorale in its annual Winter Concert at Merkin Concert Hall (129 W. 67th Street) at 7:30 p.m. Featuring Cantor Jacob Ben-Zion Mendelson as guest soloist, the program will include a wide range of gems from the Jewish choral repertoire, from (post-) Hanukkah favorites to Paul Ben-Haim's impressive "Roni Akara" to Maurice Goldman's "Strange Happenings" (aka Avremele Melamed) and Moishe Oysher's "Chad Gadya." Thursday, December 24, 7:30 pm at Temple Emanuel in Newton. Celebrate the 20th annual Hanukkah Happens concert with Zamir's favorite selections from past seasons, as well as the premiere performances of two works commissioned for the occasion: Kodesh Hem by noted composer Nick Page, with Cantor Elias Rosemberg, soloist; and Hallel Shir V'Or by 16-year-old composer Jeremiah Klarman. For more information, contact Temple Emanuel. A Concert of Great Yiddish Music Including Handel and Shostakovich in Yiddish! Admission: $15; SACC members $10. No credit cards. General admission. No reservations. Seating begins at 2:30. Visit thejppc.org for more about The JPPC! Sunday, March 14 at 4:00 pm: Zamir teams up with Chorus Pro Musica, under the direction of Betsy Burleigh, and the New England Philharmonic for a performance of Ernst Bloch's magnificent Sacred Service at Boston's John Hancock Hall, 180 Berkeley Street, Boston. For ticket information, call 617-267-7442 (M,W, F, 10:00-2:00) or contact Chorus Pro Musica. Sunday, March 21: Musicians and educators are invited to attend Hebrew College School of Jewish Music's Jewish Choral Festival, to be held at the Wellesley College Chapel. Free workshops will be offered in the afternoon, including "Unlocking the Cantillation Code," with Professor Joshua Jacobson, and more TBA soon! In the evening, Hebrew College's four choirs in residence, Zamir; Koleinu and Shir Tziyon (both directed by Carol Marton); and Kol Rinah (high school students directed by Avi Wolf), will perform in concert. For more information, contact Barbara Cassidy. 325 East 6th Street (between 1st & 2nd Avenues), New York City. A cappella concert sung by 3 ensembles (JPPC, Polyhymnia, Zamir Chorale) each for 25-30'. The JPPC sings in Yiddish, the others - in other languages. Added bonus - 1:30 Free vocal workshop open to all with paid admission. 325 E. 6th St. (btw. 1st & 2nd Av. ), NYC. The JPPC sings in Yiddish, the others—in other languages. open to all with paid admission. Sunday, June 6 at 8:00 pm, Sanders Theatre, Cambridge: Mark your calendars (or program your phones) NOW because you won't want to miss JaZZamir, our annual spring concert. JaZZamir features jazz music from Israel, the Yiddish theater, the Broadway stage, and the synagogue. Zamir will be joined by guest performers Hankus Netsky, piano; Taki Masuko, percussion; and Amir Millstein, flute. Highlights include tunes by Dave Brubeck, Kurt Weill, Jef Labes, Ziggy Elman, as well as George Gershwin's "I Got Rhythm" and selections from Porgy and Bess, "A Yidisha Charleston," "Venezuela," "Niga El Ha-Chalom," and "Java Jive" (in Hebrew). This concert honors Peter and Nancy Finn, and Alan Teperow and Suzanne Hanser, devoted board members who work tirelessly on behalf of the Chorale. 2537 Broadway (at 95th Street), NYC. This 2-hour concert includes classic Yiddish works, such as "Avremele melamed" and "Lomir ale zingen a zemerl" as well as Classical works in Yiddish, by Handel, Mendelssohn, Shostakovich and Tchaikovsky! Featured soloists: Joshua Breitzer, Matthew Klein and child performer Temma Schaechter (the younger of Di Shekhter-tekhter). Poets/authors/translators: Bialik, Buchwald, Ha-Levi, Halpern, Helfman, Kahn, Lapin, Liesin, Olgin, Reisin, Ronch and Sorerives. 2537 Broadway (at 95th Street), New York City. This 2-hour concert includes classic Yiddish works such as "Avremele melamed" and "Lomir ale zingen a zemerl", as well as Classical works in Yiddish, by Handel, Mendelssohn, Shostakovich and Tchaikovsky! (the younger of "Di Shekhter-tekhter"). Lapin, Liesin, Olgin, Reisin, Ronch & Sorerives. Sunday June 20, 2010 at 2:00 p.m. Accessible to people with physical disabilities at the Wood Street entrance. For more information, call 215.686.5316 or 215.686.5309. For 80 years, The Philadelphia Workmen's Circle Chorus has been delighting audiences of all ages singing exclusively in Yiddish, the language of Central and Eastern European Jews and their descendants throughout the world. The internationally renowned Strauss/Warschauer Klezmer Duo has been at the forefront of the Yiddish music scene as performers and teachers for over 20 years. 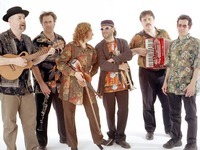 Klezwoods, an exciting Boston-based klezmer band, perform an energetic mix of klezmer, balkan, and arabic music with bass heavy grooves and eclectic instrumentation. Mr. Ho's Orchestrotica Mini opens. The festival will feature classes with renowned artists, and workshops in song sharing, writing a spiritual song, song and ritual, using chant, drumming, leadership of an audience/reading an audience, choral leadership and a cappella performance (among others). Opportunities to jam will abound and every night there will be a performance as well as open mic opportunities. In the Elat Chayyim tradition, Shabbat will be the central part of the festival. The festival culminates in a public performance at Isabella Freedman on Sunday, August 8th with featured performers including Vocolot, Rakia and Yofiah. Sunday, October 17, 2010, 4:00-6:00 pm, Emmanuel Church, 15 Newbury St, Boston. Don't miss this celebration of the sesquicentennial of the Emmanuel Episcopal Church and the fifth anniversary of Boston Jewish Spirit. Emmanuel Center"Halleluyah/Alleluia" presents Jewish and Christian musical interpretations of psalms of praise from ancient to modern times, including works by Salamone Rossi, Louis Lewandowski, and Leonard Bernstein. Zamir joins with the Orpheus Singers, directed by James Olesen; and the Spectrum Singers, directed by John Ehrlich. Reverend Pamela Werntz and Rabbi Howard Berman will offer historical commentary. Tickets: $20; $10 for students with ID. Sunday, October 24, 3:00 pm. Zamir will perform what Zamirniks lovingly call a "synagig" at the Charter Oak Cultural Center of Beth El Temple at 2626 Albany Ave, West Hartford, CT. A "synagig" encompasses the very best of Zamir--a taste of the traditional mixed with jazz, folk, Yiddish, and liturgical favorites. We'd love to see our Connecticut friends there! For ticket information, call Beth El Temple directly at 860-233-9696. 490 Riverside Drive, New York, NY 10027. This concert includes 4 choruses, each performing for 15 minutes or so, plus an Orchestra, culminating in a number sung by all choruses together. The Jewish People's Philharmonic Chorus is the only Jewish - or Yiddish - chorus on the bill. Students, faculty members, and guests of the Department of Music present a lecture and four concerts that reflect upon the Holocaust of European Jews in the 20th century. contemporary compositions inspired by these tragic events. Saturday, November 20, 8:00 pm, and Sunday, November 21, 3:30 pm. Zamir is delighted to perform as special guests of Nick Page's 200-voice Mystic Chorale for "Upward," a musical extravaganza at Converse Hall, Tremont Temple, 88 Tremont St, Boston. The weekend concerts will showcase the best of Jewish choral music as well as songs from diverse traditions. Tickets: $28; $15 for seniors and students. For more information, visit www.mysticchorale.org, or call 781-316-2500. "The Cloth From Which We Are Cut"
Commemorating the 100th anniversary of the Triangle Shirtwaist Fire. Historical narrative and Yiddish folk music are woven together in a stirring account of the fire that changed America and left its mark on a Jewish immigrant community struggling to build a better life. Boston’s popular Workmen’s Circle Yiddish Chorus, the largest in the world, creates an unforgettable new work about this seminal event. Tickets: $18 in advance, Seniors $15, $25 at the door. To purchase tickets click HERE. Co-sponsored by the Jewish Community Relations Council, The Jewish Women’s Archive, and the Jewish Labor Committee. Two great choral ensembles join together to salute and celebrate the compositions of Leonard Bernstein. Tickets: $20 General admission, $15 Seniors/students in advance. At the door, $25. Purchase tickets by clicking HERE. Also available at the Sanders Box Office. The Zamir Chorale of Boston will present Middle East Harmonies at Sanders Theatre in Cambridge at 2:00 pm on Sunday, April 10. Conducted by Northeastern Professor and Zamir's founder and Artistic Director Joshua Jacobson, the concert will feature a meeting of the musical minds of the Middle East. Zamir will perform coordinated choral selections in both Arabic and Hebrew. We are thrilled to present as our special guests original members of Bustan Abraham in reunion. From 1991 until they disbanded in 2003, these Arab and Jewish musicians pioneered a unique form of instrumental music, combining elements of east and west, and Bustan was considered the finest ensemble of its kind. The following evening, Monday, April 11, 7:30 pm at the Fenway Center, Northeastern University will host a symposium in conjunction with Middle East Harmonies. Presenters, including renowned ethnomusicologist Benjamin Brinner, will address the use of music to increase empathy and mutual understanding among people who have been separated by borders of various kinds and alienated by conflicting politics. Cosponsoring and cooperating groups include: the Consulate General of Israel to New England, Northeastern University Departments of Music and Jewish Studies, Northeastern University's Middle East Center for Peace, Culture, and Development, Combined Jewish Philanthropies, Harvard Hillel, the American Jewish Committee, the New Center for Arts and Culture, and Hebrew College. For the first time in the US, the Choir of the "Tempio Maggiore" conducted by the renowned tenor Claudio Disegni and featuring the hazan of Rome, Alberto Funaro, and organist Federico del Sordo, will expose the New York public to the unique flavors and variations of the liturgical tradition of the Jews of Rome. The concert will open with Giuseppe Verdi's "Và Pensiero," the Hebrew Chorus from Nabucco. This magnificent choral work, which has become a symbol of the unification of Italy, recalls the story of the Babylonian exile after the destruction of the First Temple. The program will celebrate unique examples of late 19th century compositions from the Jewish communities in Florence, Livorno and Rome as well as a 1920 version of Hatikvà by Armando Sorani based on the 17th Century ballade La Mantovana. Madagascar, Surinam, Birobidzhan, Argentina, Australia and, of course, Israel – these are all places where Jews tried to establish a homeland although little is known about most of them today. Come hear singer/actress Yelena Shmuelenson (of Serious Man fame) and Binyumen Schaechter, Director of the Jewish People’s Philharmonic Chorus, perform “Yiddish Songs of Jewish Settlements, Realized and Unrealized,” Wednesday, July 6th at 6 PM at the Center for Jewish History, 15 West 16th St. in NYC at the opening program of the exhibit “Other Zions: From Freeland to Yiddishland,” sponsored by the League for Yiddish and the YIVO Institute for Jewish Research. The exhibit honors the anniversaries of three intertwined Yiddish organizations: Freeland League for Jewish Territorial Colonization, League for Yiddish and Afn Shvel magazine. The music is part of a unique bilingual (Yiddish and English) program featuring a brief film about the Freeland League and its charismatic leader I.N Steinberg, presentations by noted scholars about the three "jubilee honorees" and an outline of a contemporary Territorialist project. Admission free. Exhibit may be viewed directly before and after program. Please reserve: 212.294.6127 or http://www.yivo.org. A rarer than rare Yiddish concert this Sunday. To find out why, read to the bottom. Afn pripetshik, Der Rebe Elimeylekh, Tum balalayke, Bulbes. Works by Beyle Schaechter-Gottesman, Avrom Sutzkever, Josh Waletzky. So what makes this concert rarer than rare? Not only will all of the songs be in Yiddish. The printed program will be entirely in Yiddish. The commentary between numbers will also be in Yiddish. Only a brief English translation will be given between songs. It's a Yiddish immersion concert par excellence! Only at the Sholem Aleichem Cultural Center! Three of the songs that will be featured are by David Botwinik. FREE YIDDISH CONCERT ON MONDAY - PHILADELPHIA AREA: From Holocaust to Life: Music by David Botwinik April 2, 5:00PM Marshall Auditorium, Roberts Hall, Haverford College This concert features Yiddish songs by Vilna-born composer David Botwinik, sung by internationally acclaimed singer Lisa Willson DeNolfo, soprano, and The Chamber Singers of Haverford and Bryn Mawr Colleges under the direction of Thomas Lloyd, and accompanied by Elizabeth Manus. Sunday, April 22, 4:00pm, Yes, We Sang! Songs of Communities that Disappeared. At JCC East Bay, Berkeley. Kol Truah Jewish Choir of the East Bay, Nigunim Community Folk Chorus, and the Jewish Folk Chorus of San Francisco will combine voices in pre-Holocaust poetry and songs in Yiddish, Ladino and Hebrew, telling the stories of communities that disappeared in the Holocaust. Each choir will perform selections from its own repertoire and the choirs will also sing together. The program will also include a community sing-along with lyrics provided. Tickets: $10; seniors and children free. Advance ticket sale at Brown Paper Tickets. The JPPC / Jewish People's Philharmonic Chorus with Conductor Binyumen Schaechter perform in New York City with two other choruses: Cantigas Women's Choir, and the NYU Madrigal Singers! Each chorus has a 30-minute a cappella set. The JPPC is the 2nd chorus to perform, ending the first half. Tickets: $15, which includes a free beverage; $10 kids aged 5-12. Cash only, at the door. There will be an intermission. An all ages interactive concert to celebrate the Bread & Roses centennial and worker and immigrant rights. Join the Boston Workmen's Circle Center for Jewish Culture and Social Justice as we march to the beat of drumming, picket lines and protest songs! Tickets: $15 in advance, $18 at the door, $5 limited income, children under 18 free of charge. Sunday, May 6, 3:00pm, One People, Many Voices, with the Kol Truah Jewish Choir of the East Bay. At Congregation Netivot Shalom, Berkeley. Featuring music in Ladino, Yiddish, Hebrew, and English. This program celebrates the diversity and unity of our people through music and poetry. Tickets available at the door: $10 general, $5 seniors, children free. based on Sholom Aleichem's "Motl, Peyse dem khazns" (Motl, Peyse the Cantor's Son), and recorded in 1959 with Molly Picon in the role of Motl. Soloists: Temma Schaechter of Di Shekhter-tekhter as Motl, Donna Breitzer, Erik Contzius, Jacob Feldman. Pianist: Shinae Kim. Visit symphonyspace.org for more info about this concert. Visit thejppc.org for more info about the JPPC. Visit yiddishsisters.org for more info about Di Shekhter-tekhter. New to the Celebration will be a choral concert in the context of the Berkshire Jewish Community‚s "Shabbat Across the Berkshires." On Friday, June 15 at 7:30 p.m, at the Hevreh of Southern Berkshire, the Celebration will join a Sabbath worship augmented by outstanding choral music presented by The Cantilena Singers, under the direction of Andrea Goodman. The repertoire will include classical composers such as Sulzer and Lewandowski, and contemporary composers such as Finkelstein, Friedman and Janowski. Cantor and co-director Robert Scherr will be a featured soloist with the chorale. As this is part of the regular Friday night service, there is no charge; the public is invited. Sunday, June 17, 3:30pm, San Francisco Jewish Folk Chorus Annual Concert of songs in Yiddish, Hebrew, Ladino and Russian. At Jewish Community High School of the Bay, San Francisco. Suggested donation: $12 general; $6 students, seniors, people with disabilities. 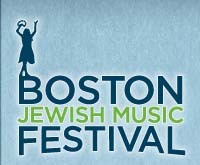 More info: jewishfolkchorussf.org, 510.220.6325. Congregation Rodeph Sholom will celebrate Chanukah, the Festival of Lights, with a jubilant, intergenerational Shabbat service on Friday, December 14, 2012, at 6 P.M. This year‚s extravaganza will include a medley of musical performances and songful prayers led by Rodeph Sholom‚s Senior Cantor Rebecca Garfein, Associate Cantor Shayna De Lowe, and Cantorial-Intern Ben Ellerin. The first night of Chanukah this year is Saturday, December 8, 2012. This event will be a Chanukah celebration of miracles and the power of perseverance in the face of adversity. The synagogue‚s volunteer adult choir will offer beloved selections such as Peter Yarrow‚s, „Light One Candle,‰ and Danny Maseng‚s, „Bring on the Light,‰ a Chanukah favorite ever since it was specially commissioned by Congregation Rodeph Sholom in 2001. The Children‚s Choir and the Jr. Jr. Choir will also lend their spirited voices to the festivities. The cantors and choirs will be accompanied by Rodeph Sholom's organist, J. David Williams, as well as John Hadfield on percussion, Susan Rotholz on flute, Eliot Bailen on guitar and cello, and Daniel Freeman, acoustic and electric bass. This high-spirited service is free of charge and open to the entire community. Two families. Four award-winning composers. A special afternoon of choral and chamber music featuring the Zamir Chorale of Boston and Kol Arev of Hebrew College, in a concert of the magnificent compositions of Lazar Weiner and his Pulitzer Prize-winning son, Yehudi Wyner, and Cantor Hugo Chaim Adler and his son, Samuel, recipient of the Aaron Copland Award for lifetime achievement in music. Both Yehudi Wyner and Samuel Adler will be participating in the program. Tickets: $20 in advance, $25 at the door can be purchased here. Presented in cooperation with the Hebrew College School of Jewish Music and the Music Department at Northeastern University. Musicians and singers will combine voices in a musical offering of Pre-Holocaust songs in Yiddish, Ladino and Hebrew, telling the stories of communities that have disappeared in the holocaust. The groups will each perform selections from their own repertoire, and will also sing together. The program will include a community sing along with lyrics provided. "22nd Interfaith Concert of Remembrance"
("The Shadows of the Warsaw Ghetto", published 1945). Concert includes Beethoven's 9th Symphony, the famous 4th Movement. Admission: Free (for non-reserved seating). The Congregation Netivot Shalom Music Festival presents a Mother's Day concert featuring Cantor Linda Hirschhorn, leader of the VOCOLOT women’s quartet, and her daughter, singer/songwriter Talia Cooper, also a VOCOLOT member. They'll sing "Songs of Love and Justice." Concert celebrates the poetry of Abraham (Avrom) Reisin, the music of Max Helfman and Mark Zuckerman, and the heroism of those in the Warsaw Ghetto. or call or visit the Symphony Space Box Office: 212-864-5400 (Tu-Su 1pm-6pm). Kerhonkson, NY, in the Catskills. The JPPC will perform a 20- to 30-minute set featuring the Yiddish choral music of Max Helfman, conductor of the JPPC from 1936-1948, also a noted composer of synagogue music. Saturday, Nov. 30, 2013 at 7:30 p.m. The Nigunim Community Chorus will present its annual celebration on the fourth night of Hanukah. The community is invited to light candles, sing Hanukah songs, enjoy performances by top Bay Area musicians, and dance under the leadership of Bruce Bierman. Traditional Hanukah foods will be sold. Featured performers are the Nigunim Community Chorus, which sings in Hebrew, Yiddish, Ladino and English; Ladino singer Rivka Amado; traditional Jewish band Mama Loshn, including Gail Kissin, Suzanne Shanbaum and Rhonda Findling; the Adama Duo, with singer/guitarist Achi Ben Shalom and percussionist Jan Padover; and a dance band featuring an all-star line up of local musicians. Co-sponsored by the 29th Jewish Music Festival, JCC East Bay, Temple Sinai, the Aquarian Minyan and KlezCalifornia. A live Yiddish concert featuring a variety of seldom-heard songs by Vilna-born composer David Botwinik. With Cantor Alan Rosenbaum, baritone, and a special appearance by a children's chorus directed by Alexander Botwinik. (Note: This concert will meet in the Stokes Hall Auditorium, which is in the building right next to Chase Hall). Celebrating the 15th Anniversary of A Besere Velt (A Better World), the Yiddish Community Chorus of the Workmen’s Circle with special guests The Guy Mendilow Ensemble. World music at its best: giving life to cultural traditions through sophisticated and contemporary interpretations. Click here or call 617-566-6281 for more information or to purchase tickets. Presented by the Center for Jewish Culture & Social Justice. Guy Mendilow Ensemble Presents: Tales from the Forgotten Kingdom With special guests: A Besere Velt Sunday, February 9th, 4:30PM Club Passim 47 Palmer Street, Harvard Square Cambridge MA Get tickets here! *Note: We will be live streaming my upcoming concert at Club Passim, which starts at 4:30pm EST on February 9. Wherever you are in the world, you can tune in! You can purchase online tickets on a pay-what-you-want basis starting now at www.concertwindow.com/shows/3052-guy-mendilow-duo. The webshow will not be recorded - it's offered in real time. I hope you can join us! features unique Yiddish choral arrangements in distinctly American musical styles: blues, jazz, spirituals, Second Avenue theater hits, labor anthems, and more. In these works you will recognize America's pervasive influence on Jewish culture - and vice versa. 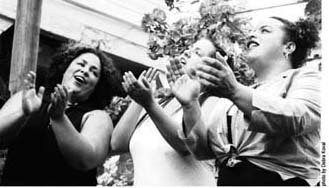 RSVP at Habonim.net under "register for events"
Wednesday, March 26, 2014, 7:30 p.m.
Join us for a concert and community sing-along that calls up the rich history of community singing prominent in political, educational, and labor organizations of the early and mid-twentieth century. No knowledge of Yiddish language or song required. For individual concert tickets, which range from $50 to $100, and other information, visit www.wizadjournal.com or call 212/870-3333. During the concert, Matthew Lazar, the founder and director of the Zamir Choral Foundation, shares the stage with conductors from HaZamir’s local chapters, all of whom have worked on a common repertoire in their respective cities throughout the year. Mixing classical and contemporary musical selections, many with Hebrew texts, the concert’s program boasts a dazzling array of vocal arrangements -- from soaring, large-scale groupings, to intermediate settings to demanding solos, all of which seamlessly blend teens from the different chapters. Join us as we celebrate the music of communities lost in the Holocaust. Our three choirs will sing for you and with you as we remember their songs in Yiddish, Ladino, and Hebrew. Lyrics will be provided for the community sing-along. This two-hour concert, celebrating 360 years of American Jewish life (1654-2014), will include Yiddish music in distinctly American musical styles: blues, jazz and pop numbers, spirituals, standards, Second Avenue theatre hits, labor anthems, and more. In these works you will recognize America's pervasive influence on Jewish culture - and vice versa. or call or visit the Symphony Space Box Office (address above): 212-864-5400 (Tu-Su 1pm-6pm). Tickets: general: $10 in advance/ $15 at door. Students, seniors, those with disabilities: $10 advance, $12 at door. Do you love music? Do you know a TAP musician and want to show them your love and support?? Well, here's your chance! Join us for the concert at 4pm and a dessert reception following the concert. You're going to have a blast...we promise! We remember the music of communities lost in the Holocaust. Our three choirs will sing for you and with you, as we recall their songs in Yiddish, Ladino and Hebrew. Lyrics will be provided for the community sing-along. And his poem Ale mentshn zaynen brider (All People Are Brothers) inspired by and set to Beethoven's "Ode to Joy"
Oh, and this will be a Beethoven World Premiere - an instrumental section of Beethoven's 9th Symphony newly adapted for chorus! avec l'ensemble "Par Chants et par Mots"
Portuguese translations will be provided. A Besere Velt--A Better World--is a multi-generational chorus, sponsored by the Boston Workmen's Circle, singing in Yiddish and other languages to preserve culture and fight for social justice. We are looking for new members this fall. Open rehearsals are Saturday, September 12 and Saturday, September 26, from 3:30 to 5:30 at the Boston Workmen's Circle, 1762 Beacon Street, Brookline. No auditions, no knowledge of Yiddish required. Open rehearsals offer an opportunity to participate in a working rehearsal before deciding whether to make a commitment for the year. Membership opens only once a year. Join us for Hanukkah candle lighting, lots of singing, and a concert of traditional and contemporary Jewish folk songs. Hebrew, Yiddish and English songs arranged for four-part harmony. Nigunim Community Chorus meets weekly at the JCC East Bay and other locations around the Bay Area. This forty member group is dedicated to learning, preserving and performing traditional Jewish music of the Diaspora and Israel. The event will signify the completion of the chorus’ fall season. New singers are welcome to audition for spring season in January. Sunday, December 13 at 7:30 p.m. If ordering 6-day registration online use discount code "YNY10" for 10% off. Daughters: Journeys to a Better World"
Tickets range from $25-$118. Purchase at tevye.brownpapertickets.com or by calling the Brown Paper Tickets Box Office at 1-800-838-3006. In his timeless contribution to literature and Jewish culture, Sholem Aleichem captured a poignantly rebellious spirit in the stories of Tevye and his daughters. Immortalized in "Fiddler on the Roof," these young women represent a new generation of free thinkers, grappling with tradition to pursue their dreams. Join us as we imagine, with loving and bittersweet humor, how Tevye's daughters, and subsequent generations, forge a proud new tradition of social activism as revolutionaries, union leaders, Freedom Riders, Wall Street Occupiers, feminists, and militant millennials. To Life, To Laugh, L'chaim! including new choral arrangements of Fiddler on the Roof, in Yiddish! On Broadway! chorus? A Besere Velt is a great place to give it a try! A Besere Velt (A Better World) is a chorus sponsored by the Boston Workmen’s Circle that sings in Yiddish, English, and other languages to help preserve culture and fight for social justice. We are looking for new members this fall. There are no auditions, and no knowledge of Yiddish is required. The Ninth Annual Eleonore and Dr. Herman Blumenthal Memorial Concert Sunday, November 20th at 2:00 pm Congregation B’nai Amoona, 324 South Mason Road Creve Coeur, MO. The concert is produced by Fred Blumenthal to benefit the Social Action Committee of Congregation B’nai Amoona. The concert will include vocal solos, piano solos and music from the men’s chorus. A contribution of $18 to the Social Action Committee is suggested in lieu of ticket purchase. More info: Renee 510.533.3903 or Gail 510.220.6325. Khanike celebration of mostly Yiddish and some Hebrew songs. Mostly Yiddish songs with a few Russian, Ladino and Hebrew folk songs. Come join us for The 28th Project Manna Concert, A celebration of Gospel and Jewish Music. All proceeds support the church's Project Manna hot meals program and food pantry to benefit the homeless and hungry. "We're not your mother's a cappella group, but she will love us anyways!" We are Sharon's premiere Jewish co-ed a cappella group, based out of Temple Israel, focusing on a variety of musical styles including Israeli Pop, Classic Rock, American Pop, and Traditional Jewish Folk. Members of Shir Rhythm love to perform for audiences of all ages. We are a multi-generational, diverse group of singers and we all have one thing in common: we love to sing, harmonize, and have fun! We invite you to share in our music and hope that we can touch your heart in some way. Special Mother's Day Reception to Follow Concert! “Celebrate Jerusalem,” will feature more than 200 inter-generational voices drawn from three notable Zamir choirs, as well as appearances by two special guest soloists -- the renowned Alberto Mizrahi and Netanel Herstik. will perform works of Haydn, Beethoven and Pärt. Admission is free and there are no reserved seats. The concert is generously sponsored by the Saul B. and Naomi R. Cohen Foundation.